The significant rainfall during late September clearly had a noticeable impact on this 2006, which perhaps lacks “selection” as the French say. There is an element of dilution in this cuvee, and I would never recognize it as a Gruaud Larose except for the label. Dark ruby with a light pink rim, the wine is medium-bodied, soft, and round revealing roasted herb, sweet cherry, and currant flavors. For its prestige and pedigree, it is one of the most disappointing St.-Juliens I tasted. Tasted at Bordeaux Index's annual 10-Year On tasting in London. 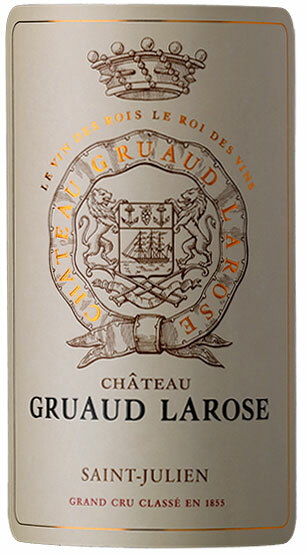 The 2006 Château Gruaud Larose can be a divisive wine. At ten years of age, it shows some inertia on the nose: sultry blackberry and briary fruit, nicely defined but lacking what I call "flow." The palate is medium-bodied with dusty tannin, rather rustic red berry fruit laced with sandalwood and tar, fading a little towards the soft, easy-going finish. Not bad...but I have encountered many superior wines from this Saint Julien estate. Tasted January 2016. Drink 2016-2026. Shows plum and raspberry aromas, with hints of flowers. Full-bodied, with super well-integrated tannins and pretty fruit on the middle palate. All there in balance and finesse. Best after 2013. Good deep red. Musky, gamey aromas of plum, dark chocolate, cocoa powder and roasted oak. Fat, plummy and lush, but with decent spine to give the wine shape. Sweet but not overly so, offering more breadth than depth. Finishes with dusty, horizontal tannins.